Enter into an exploration of C.G. Jungâ€™s personal transformation as recorded in the Red Book and viewed from Buddhist perspectives. To learn what the Red Book may mean to us know, the C.G. Jung Institute of San Francisco, together with the Institute of Buddhist Studies in Berkeley, hosted a series of â€œRed Book Dialogueâ€ between Jungian Analysts and leading teachers, writers, and artists. These conversations, brought together people who have challenged themselves to engage with their own depths, are designed to appeal to people both in and out of the psychological professions. In this way, the meaning of Jungâ€™s journey can come to life in each of us. 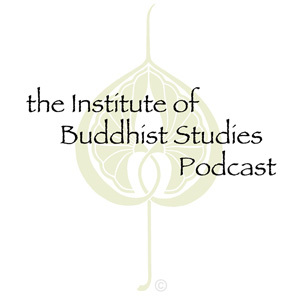 Our second dialogue, between Jack Kornfield of Spirit Rock Meditation Center and Dyane Sherwood, analyst member of the C.G. Jung Institute of San Francisco, was held at the Hotel Kabuki in San Francisco on November 12, 2010. Originally recorded November 12, 2010 at the Hotel Kabuki in San Francisco, Ca.